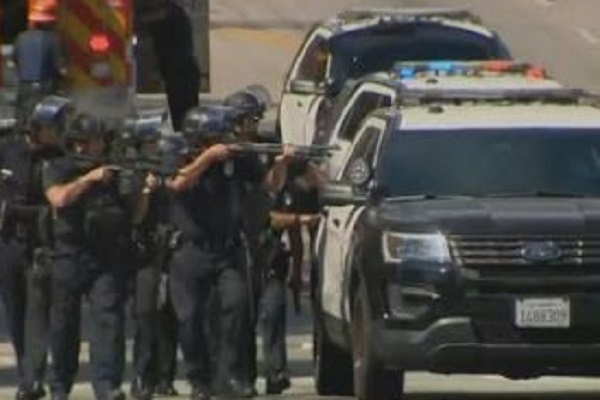 A shooting at a bowling alley late Friday left three men dead and four people injured in Southern California, reported CNN. No arrests were immediately reported after the shooting, which happened shortly before midnight at the Gable House Bowl in Torrance. City police were "working to identify the suspect(s) involved," stated the report. Gunshots rang out after a fight inside the building, a witness said. "Bowlers were diving under the benches," the witness, Dana Scott, told RMG News. "The people that were still bowling on the lanes were on the floors, underneath the seats, behind the benches." "People were looking for their parents, because this is a family league. You've got mothers, fathers, sons, daughters, everybody's friends in that league," she said.